Layoffs are difficult for employees and business owners alike. As the boss, you’re torn between trying to conserve all remaining resources of your company and doing the right thing for the people who worked with you for years. 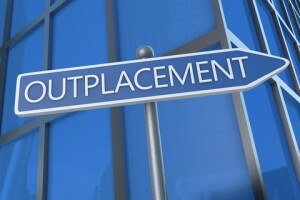 Deciding whether to offer outplacement services or not isn’t just a moral question. It’s also a question of protecting your company’s image to potential employees and remaining customers. The problem is some outplacement services provide little more than canned resume templates with a bunch of links to job boards. If that’s all they provide, then it doesn’t make sense to pay thousands for a job that could be done with a few hours of searching Google. What does your resume service cover? Resume services is a very vague phrase. It could mean anything from a resume creation workshop, canned templates, resume writer services, or a consultation. Ask them what specifically is included in their service. A word of caution: if you’re on a tight budget, I understand the desire to cut corners. But please, not on this part. Resume services is the most important of all the services you can offer displaced employees. The other features, like job boards and career counseling are just extras. Last month, a hiring manager told me of two project managers that he eliminated from his shortlist of candidates. Displaced employee won’t be impressed by canned resume templates. It won’t help them get a job either! What is included in the career counseling services? Career counseling services help displaced employees deal with sudden unemployment. Aside from that, the counselors can also help them regain their confidence, transition to a new career, and practice their interview skills. Sounds great, right? Not exactly. The common complaints among displaced employees are limited counseling schedules, and high attendee to counselor ratio. When these things happen, some of your employees may not be able to avail of the counseling services, even if they desperately need it. So when you’re looking for outplacement services provider, always ask how many counseling sessions are included, and how many counselors or facilitators they will dedicate for your company. The qualifications of the counselors are important considerations, too. Ask for the counselor’s certifications, experience in job-searching, career coaching and recruitment. In other words, find out if they’re really qualified to give advice. How will you help my employees find new jobs? Okay, this is the make or break question. Some outplacement providers consider their job done after they gave a few leads. That’s not enough. Ideally, you should look for an outplacement provider that will help employees find jobs that match their work experience. Job boards and networking resources are not enough. Whoever you choose as your outplacement provider, you owe it to yourself and your team to hire a company that knows what they’re doing. Before you sign an agreement, make sure you know how much it will cost, what exactly is provided, the venue, and any time restrictions they might impose. All of this should be confirmed in writing.